Fred Anderson was born June 5, 1920 in New Sweden, Texas. When he was still a boy, the family moved to Austin where he attended Austin and Round Rock High Schools. He served in the Army Air Force’s 301st BG during World War II and received a Bronze Star Medal for his actions. After living in Austin where he worked for Lanier and Son Company, he moved to Waco in 1947 when he was hired to manage the R.C. Smoot Company. He eventually became owner and the company was renamed Smoot-Anderson. Brother Anderson was the President of the Texas Teenage Baseball Association, coached for the Northern Little League, served on the Board of Directors with Waco Lighthouse for the Blind, and was active in several veterans organizations. He was on the advisory council for Texas State Technical Institute(now TSTC). Anderson was also very active with both the First United Methodist Church and the Austin Avenue Methodist Church. He was well-known around town for his craftsmanship as a woodworker and he often gave intricate items he had carved to people around town. 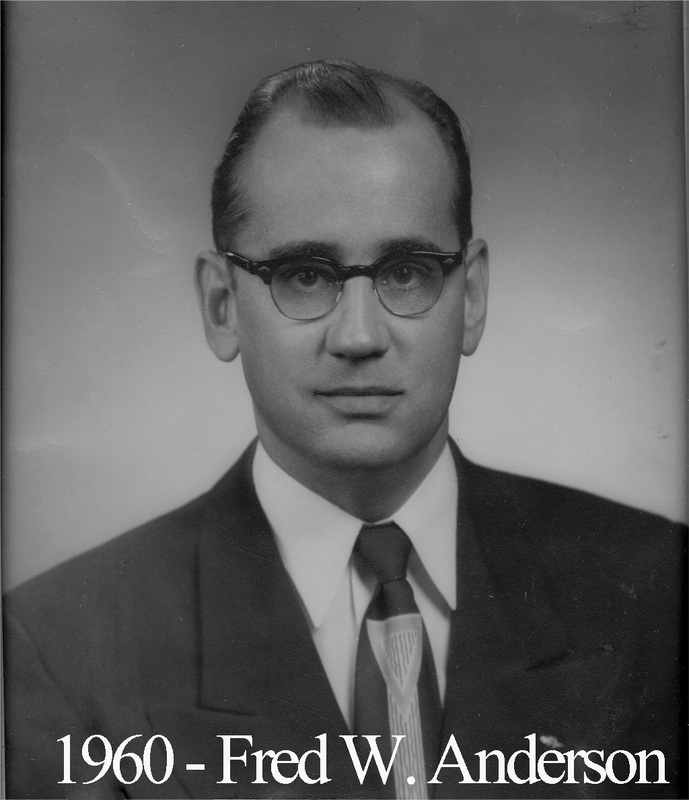 Brother Anderson served as Master of this lodge from 1959 to 1960. He died on June 3, 1997. The Smoot-Anderson Company remains the leading go-to plumping supply company in Waco.